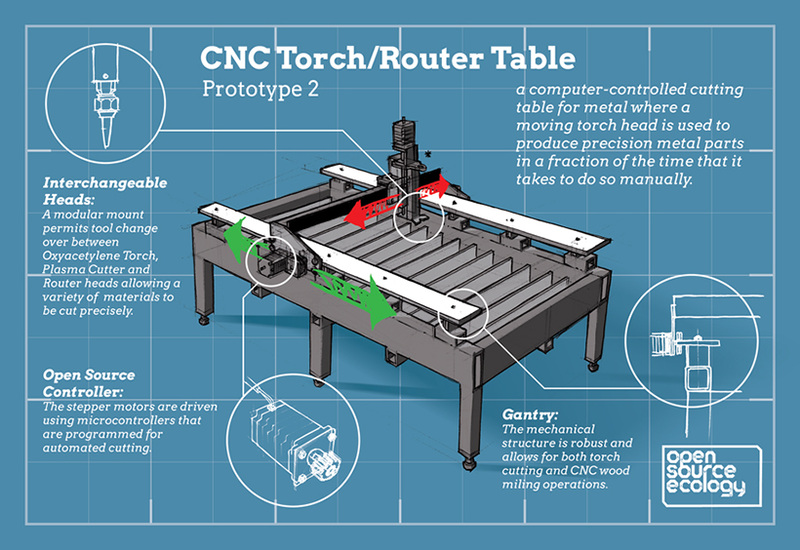 A CNC Torch/Router Table is a computer-controlled cutting table for metal where a moving torch head is used to produce precision metal parts in a fraction of the time that it takes to do so manually . The first prototype of the CNC Torch/Router Table was built in 2011, and was used to cut wheel mount parts for the tractor during OSE’s first production run in 2011. An acetylene torch was used, so that electronic noise was not an issue. 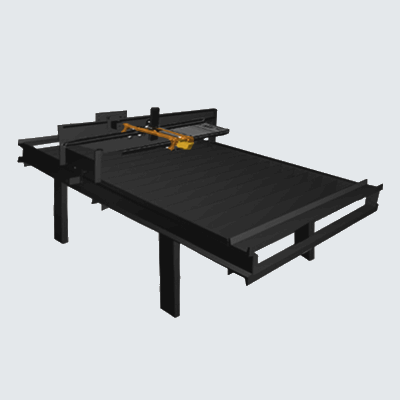 In 2012, a new version of the CNC torch table was built, featuring a water bed, but this design has not been completed as of 2014 despite several attempts. In 2014, we aim to leapfrog to a new controller based on the Lasersaur wireless controller, and to release the CNC Torch/Router Table as a full Distributive Enterprise product that OSE can produce in our 3-Day Workshops. 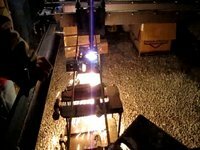 We will develop the machine for full automation using both fuel gas and plasma cutting. For the structure, we will use our standard Construction Set tubing for the frames to simplify the build while enabling the scalability of stiffness to match the forces of the largest gantry mills, thereby making the frame suitable for heavy-duty CNC milling operations. To get there, we will develop scalable gear-and-rack drive systems, and higher precision drives as needed, and we will include hydraulic drive for attaining high torque at low cost for both the axis drive and the working tool. You can get involved directly in development. Remotely, you can contribute via crowd-based micro-contributions of knowledge. One way to do that is by answering the following Working Questions in your spare time. Another is participating in Design Sprints. To get involved on site at our Kansas City area headquarters – you can participate in a Dedicated Project Visit. If you have an answer, please contribute using this form.